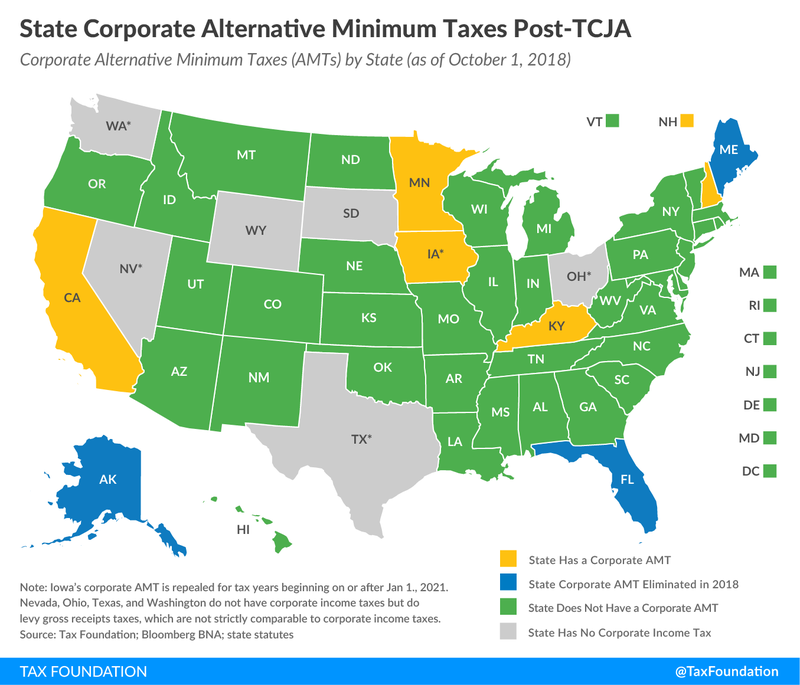 Just as several states have individual alternative minimum taxes (AMTs) that prevent households and pass-through businesses from claiming “too many” itemized deductions, some states levy corporate AMTs to prevent corporations from reducing their corporate income tax liability beyond a certain level. Most state corporate AMTs conform closely to the federal corporate AMT, which was established in 1969 but permanently repealed in the Tax Cuts and Jobs Act (TCJA). Now that the federal corporate AMT has been repealed, several states have no starting point for determining state AMT liability. As a result, the states that conformed closely to the federal provision have dropped their corporate AMTs altogether. Tax year 2017 was the last year in which the federal corporate AMT was levied, and in that year, eight states collected their own corporate AMTs: Alaska, California, Florida, Iowa, Kentucky, Maine, Minnesota, and New Hampshire. Moving forward, however, the landscape will look quite different. Historically, Alaska has determined state corporate AMT liability by collecting an amount equal to 18 percent of each business’s federal AMT liability. Without a federal corporate AMT, however, the state will no longer be able to “piggyback” on the federal provision, meaning no state corporate AMT will be collected. Similarly, Florida adopted Internal Revenue Code (IRC) conformity legislation in March 2018, and since only those companies that pay the federal AMT are liable for the Florida AMT, the state AMT will no longer be collected. 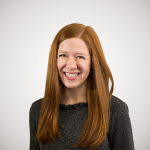 Finally, Maine repealed its corporate AMT in September as part of an IRC conformity bill, and Iowa, in a comprehensive tax reform package adopted in May, repealed its corporate AMT effective starting in tax year 2021. Meanwhile, since California, Kentucky, Minnesota, and New Hampshire have corporate AMTs that do not conform to the federal provision, those taxes will continue to be collected. One of the factors contributing to the federal corporate AMT’s repeal was that it was an inefficient means of ensuring taxpayers pay a minimum level of taxes each year. By requiring taxpayers to calculate their tax liability under two different systems, the AMT imposed steep compliance costs on businesses, which in some cases proved larger than collections. States that have not yet repealed their AMTs ought to consider whether the relatively small amount of additional revenue they gain from corporate AMTs is worth the added complexity of maintaining two parallel tax systems, and whether one streamlined corporate tax code with fewer deductions is a more efficient means of meeting annual revenue targets.